Q. What is Apple Pay? A. Apple Pay is secure, simple and quick system that allows you to make payments using your iPhone or Apple Watch. Q. When was Apple Pay launched? A. Apple Pay launched in the USA first (on the 20th October 2014). Q. When will Apple Pay be available in the UK? 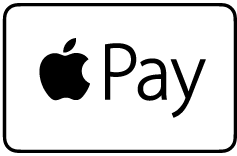 A. Apple Pay launched in the UK on the 14th July 2015. Q. Is Apple Pay available in other countries? NOTE: Although a country is listed above not all banks/financial institutions in that country support Apple Pay - please check with your card issuer for confirmation that your card will work with Apple Pay. Q. Which banks/financial institutions (will) support Apple Pay? NOTE: Although a financial institution is listed above not all credit cards they issue support Apple Pay e.g. business cards, cashback cards. Q. What locations/shops/stores support Apple Pay in the UK? Q. What technology does Apple Pay use? A. 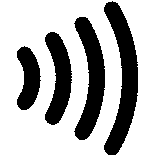 Near Field Communication (NFC). Q. Is there a limit to the payment amount I can make? A. Yes. In the UK it is £30 (it rose from £20 to £30 on 1st September 2015). However, if the merchant's payment terminal is capable and configured properly, and their payment provider supports the latest network contactless specifications it will be possible to make a payment above this normal limit. Q. I'm a merchant in the UK. How can I accept Apple Pay payments? Q. What version of iOS is required to use Apple Pay on an iPhone? A. iOS 8.1 or later. Q. What version of watchOS is required to use Apple Pay on an Apple Watch? A. It varies depending on location/country - see this Apple help document. "Wrist Detect" must also be enabled. Q. Does Apple Pay require Touch ID/Face ID? A. No. But you must have a passcode set on your device, preferably a complex passcode for even greater security. Q. Can I use any iPhone to make a payment? A. No, the iPhone must have an NFC chip so that means you must have an iPhone 6/6+ or newer to use Apple Pay via your phone. Q. So an iPhone older than the iPhone 6/6+ can't be used for Apple Pay? A. Not quite. If you have an iPhone 5/5c/5s you can pair it with an Apple Watch to pay via the Apple Watch (in-store payments only). Q. Can I pay online/via an app with an Apple Watch? A. No. The Apple Watch can only make payments in-store. Q. What happens if I lose my iPhone or it is stolen? A. Using Find My Phone or iCloud.com you can suspend all payments from that phone. As the phone does not store your card or pin numbers you do not need to cancel your card and get a new one. Q. Can someone steal my Apple Watch and make payments with it? A. No. The Apple Watch must be worn for it to make a payment. Q. So someone could chop my arm off and use my Apple Watch to make a payment? A. No. The Apple Watch will check for a pulse. Q. So someone could steal my Apple Watch and just wear it themselves to make a payment? A. No. If the Apple Watch is taken off it must be paired again with your iPhone to make payments, using a code generated by your iPhone. Q. So someone could steal my Apple Watch and my iPhone to make payment? A. As long as your iPhone is locked with a passcode/Touch ID then no. If your iPhone is not locked then it's feasible someone could steal your Apple Watch and your iPhone to make payments but assuming you haven't disabled payments via iCloud.com, the Apple Watch has additional security measures included with watchOS version 2 or later. watch OS v2 was released as a free upgrade in the autumn of 2015 and new features include a lock screen/passcode facility for the Watch itself which helps considerably with this particular scenario. In addition, according to Apple, if you turn off Wrist Detect, remove your passcode, or sign out of iCloud on the Apple Watch, all credit and debit cards will be removed from the Watch. Q. What information does the iPhone/Apple Watch store? A. Once your card has been authorised for use on the iPhone/Apple Watch the device does not store the card number or details instead it creates a unique Device Account Number and stores it in a special, secure and encrypted hardware chip in the phone (the "secure enclave"). Apple Pay encrypts data into tokens every step of the payment process. Tokenisation is already built into the standard NFC specification so Apple is just utilising existing technology and securing it further with their Touch ID fingerprint authorisation system. Q. What's this I hear about "Tokens" and "Tokenisation"? A. Visa has some great information online about their Token Service and the technology will be the same/similar for other card companies. Apple uses this tokenisation system for Apple Pay. Q. Can I pay using any credit card or do I have to use the one associated with my iTunes account? A. No, you can add other credit cards to the system (securely stored cards are shown in Passbook aka Wallet in iOS 9 or later). Adding a card is as easy as using your iPhone camera to convert the image into data, the iPhone then attempts to authorise the card for use and if successful creates a unique Device Account Number and stores that in the secure enclave instead of your actual card details (see Tokenisation above) along with adding it to your Passbook (aka Wallet in iOS 9 or later) ready for use. NOTE: Not all credit cards support Apple Pay even if the financial institution that issues it supports Apple Pay. Q. Do I specifically need an iTunes account to use Apple Pay? A. No, but you do need an Apple ID. Q. Is my credit card information stored on the iPhone/Apple Watch? A. No, not directly. When you add a card to the iPhone it stores an encrypted "link" (the Device Account Number) to your card. When you make a payment a one time card number and authorisation token (pin) is used so your actual card number and pin is never stored or transmitted. Q. Can payments be taken from my iPhone without my knowledge? A. No. You need to confirm any payment on your iPhone itself using Touch ID. Q. Can payments be taken from my Apple Watch without my knowledge? A. No. To make a payment with an Apple Watch the first step is to physically double-click the side button. Q. Does the person/company I am paying have access to my personal/card details? A. No, they don't even get to know your name. Q. Does Apple track my purchases? A. No, Apple does not track what you purchased, how much you spent or where you made your purchase. Q. Does Apple get a fee for every transaction using Apple Pay? A. Yes and it's included in the transaction - that seems fair to us. Q. What cards can be used with Apple Pay? A. Currently credit and debit cards from VISA, MasterCard and American Express along with support from over 500+ banks worldwide. Discover cards are supported with iOS 9 or later. Q. Can I pay anywhere? Q. Can I pay online using Apple Pay? A. Yes. Apple has made an Apple Pay API available so Apple Pay will be available, as an option, when making a payment within an iOS app and/or online/the internet with Safari (iOS 10 or later / macOS 10.12 or later required). Q. Will I be able to use Apple Pay with any iOS app/web site? A. No. The iOS app developer/web site will need to add the Apple Pay API to their app/site to enable such transactions just like they would to accept different payment methods e.g. credit cards, AMEX, PayPal, etc.